The move was taken to honour Srinivas Kuchibhotla, who was killed when 51-year-old US Navy veteran Adam Purinton opened fire at him at his friend at a bar. 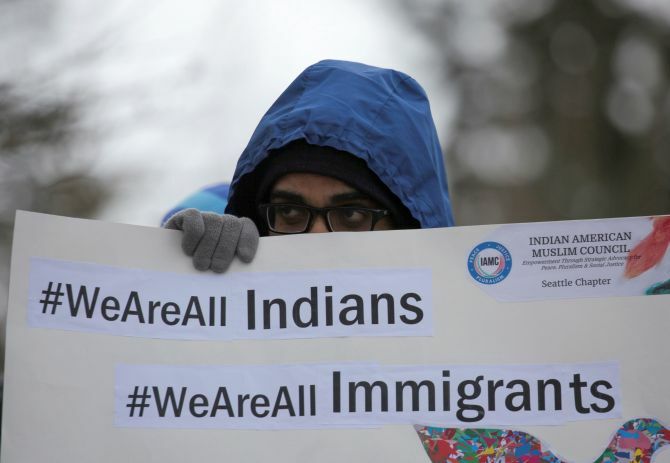 Amid increasing hate crime incidents against Indian-Americans, particularly the Sikhs in the United States, the state of Kansas has recognised March 16 as ‘Indian-American Appreciation Day’. 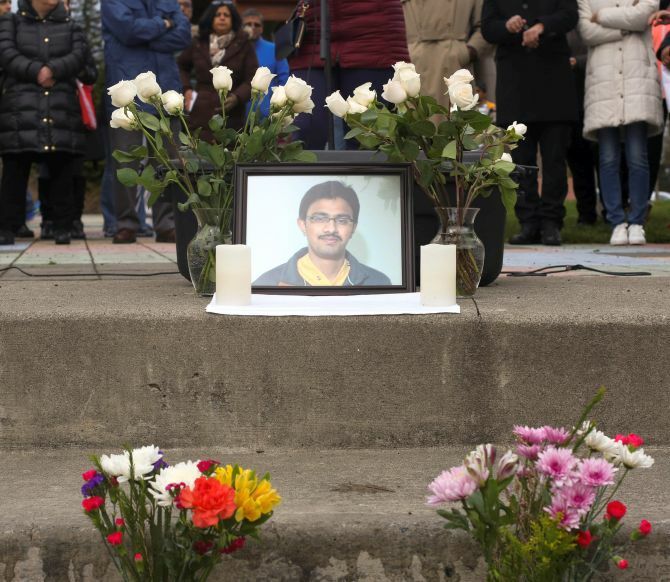 The move was taken to honour Srinivas Kuchibhotla, 32, an Indian techie who was killed last month in a racially-motivated hate crime. Kuchibhotla was killed when 51-year-old US Navy veteran Adam Purinton opened fire at him and his friend Alok Madasani at a bar in Olathe on February 22 before yelling “get out of my country”. Madasani and American national Ian Grillot were injured in the attack. “These actions can never overshadow our shared values and believes, the dignity of mankind...We will continue to welcome and support the Indian community in the State of Kansas,” Brownback said at an event in Topeka, the state capital. Madasani and Grillot also attended the event to commemorate the life of Kuchibhotla. Brownback publicly apologised for the loss of life and injury to Madasani. “I’d like to thank Ian Grillot for his heroic efforts to intervene, and I wish Alok and Ian both a speedy recovery,” he said at the event during which he issued a proclamation to recognise March 16 as the ‘Indian American Appreciation Day’. “We find peace in the Sanskrit mantra ‘Satyamev Jayate’ or truth alone triumphs. With this proclamation today, I am declaring Indian American Day in the state of Kansas,” the governor said. “This is a deplorable act that happened. We will not let it define us as people,” he said. “Srinivas, embodied what it means to be a Kansan,” Brownback said, adding that his is a similar story of tens of thousands of Indian Americans who have called Kansas home over the generations. “Moving forward, Kansas remain committed to standing with the Indian community. We will always reject the acts of violence and harm. We reject hatred in all its forms,” he said. Brownback said Kansas is committed to protect all its neighbours and its guests. In his brief remarks, Madasani said the proclamation is an honour that Kuchibhotla would be proud of. Meanwhile, India House, Houston held a candle light vigil in honour of Kuchibhotla. To celebrate true American spirit, India House has also decided to honour Grillot, who tried to stop the shooter. The candle light vigil was attended for a large gathering of both Indian Americans, friends and several elected officials. Vipin Kumar, executive director of India House said, the community will work toward combating ignorance and blind hatred and promoting the Hindu values of peace and love. “We conclude this event today with a message of hope, love and peace,” Kumar said. Delaware state assembly passed a resolution to proclaim April as ‘Sikh Awareness and Appreciation Month’. A resolution in this regard was passed unanimously by both the chambers of the state assembly -- the Senate and the House of Representatives. The move was welcomed by the State Governor John Carney, who in a meeting with the Indian-American community assured all kind of help to the community, which he said of late has been experiencing a spate of hate crimes in the US. “We have fear mongering going on at the national level, and stereotyping... and all of that. It is an embarrassment on America as a country,” Carney told a delegation of Indian-Americans led by local businessman and community leader Charanjeet Singh Minhas. Such kinds of attack or vandalism is “completely unacceptable,” the Delaware Governor said. Introduced in the State Senate by Senator Brown Townsend, the resolution said Delaware stands with the Sikh community in denouncing hate crimes directed towards any individual on account of their religious beliefs. disproportionately high rate of hate crimes, and Sikh boys suffer bullying at least twice the national bullying rate for other boys,” it said.